The Basilica of St. Mary in Minneapolis recently was named a winner of the 2013 Minnesota Preservation Award. The Preservation Alliance of Minnesota honored the basilica for a project that restored aging and damaged stone interiors. There were a total of 10 winners, who will be recognized at the Minnesota Preservation Gala at Christ Lutheran Church in Minneapolis Sept. 27. In 2011, via a Facebook contest, the basilica was awarded a $110,000 Partners in Preservation grant to complete repairs to the narthex and sanctuary. Crews returned limestone walls to their original patina, repaired stone and restored ceiling paint and decorative gold leafing. Sister Amelia Hueller, formerly of the Cathedral of St. Paul, made her perpetual profession of vows to the Dominican Sisters of St. Cecilia in Nashville, Tenn., on July 22. She was joined by 10 others at the Cathedral of the Incarnation in Nashville for the ceremony, with Bishop David Choby of Nashville serving as the main celebrant. 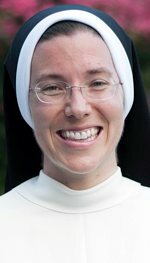 Sister Amelia is a graduate of Stillwater High School and currently teaches at St. Cecilia Academy in Nashville. The community of 280 sisters serves in 33 schools throughout the U.S., including St. Croix Catholic School in Stillwater. Dominican Father Jim Spahn, pastor of Holy Rosary in Minneapolis, went to Croatia from July 22 to Aug. 8 for a meeting of his order, The Order of Preachers (also called Dominicans). For almost 800 years, Dominican friars from around the world have gathered in General Chapter regularly to define the main directions of the government of the order. The Dominican Friars have been active in the Archdiocese of St. Paul and Minneapolis since 1878, when they were asked to serve at Holy Rosary. They also serve at St. Albert the Great in Minneapolis. Catholic United Financial is stepping up its aid to the homeless and victims of natural disasters by increasing the number of care kits assembled for those in need. CUF raised its goal from 4,000 to 5,500 kits. Since 2010, more than 5,000 kits, containing toiletry items such as towels, toothpaste and soap, have been assembled and donated through Gather4Good. On Aug. 5, 200 members of St. Paul’s Outreach helped deliver 750 kits to metro area charities. Agencies such as Sharing and Caring Hands, Love, Inc. and Catholic Charities distribute the kits to people in need. CUF also serves the needy through its Gather4Good events, which bring together volunteers from the community and local Catholic parishes. The next event will be on Sept. 29 at St. Elizabeth Ann Seton in Hastings. All materials are provided, along with food, entertainment and activities for children. For more information and to register, visit http://www.catholicunited.org/links/gather4good. 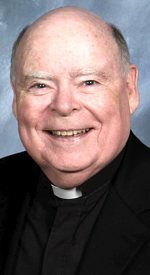 Father Ralph Goman will celebrate the 50th anniversary of his ordination Sept. 15. The celebration takes place at the 10:30 a.m. Mass at St. John the Evangelist Campus of St. Gabriel in Hopkins. A reception will follow the Mass. Father Goman was born with a rare blood disease and continues to battle the condition, which requires regular blood transfusions. He retired in 2004 and lives at St. Therese Southwest in Hopkins. He previously ministered at Incarnation in Minneapolis, St. Mary’s Hospital, St. John Vianney Seminary, St. Olaf in Minneapolis and St. John the Evangelist in Hopkins.